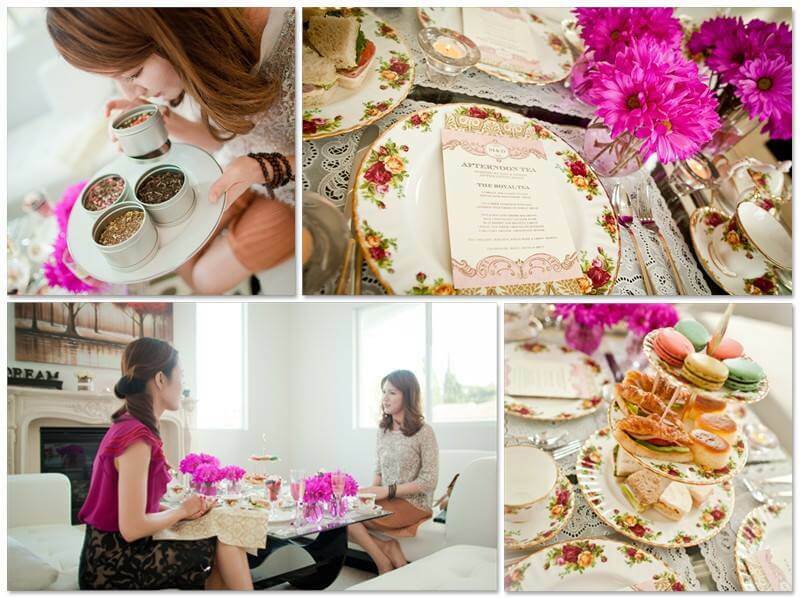 I put together some useful tips to pull off an afternoon tea party right at your own home! 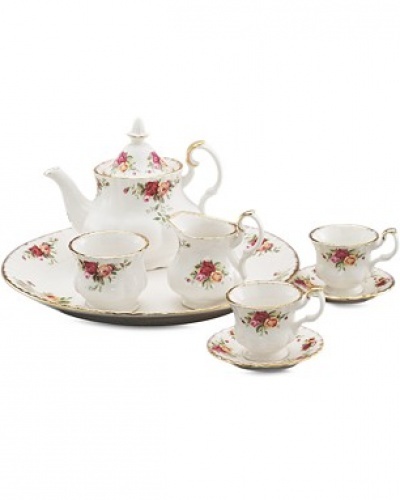 Setting the Scene: I usually set up my tea table in the living room near the fireplace! 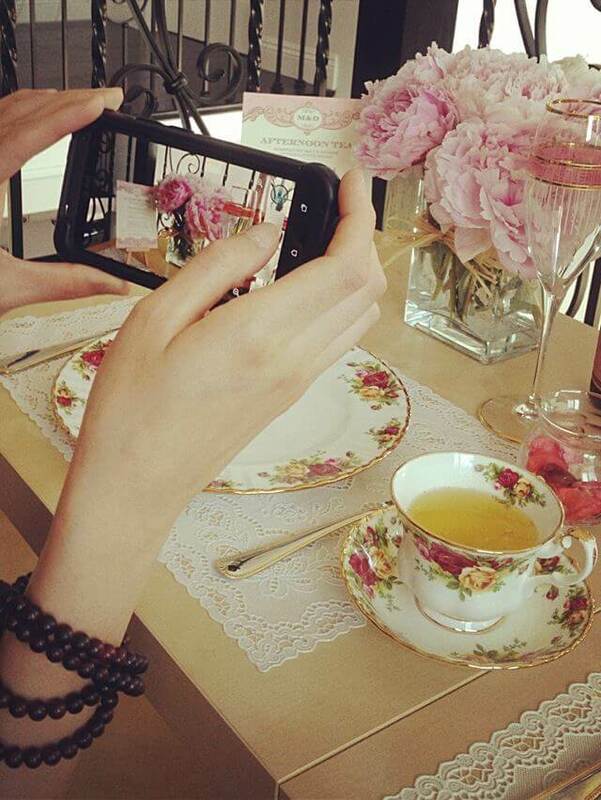 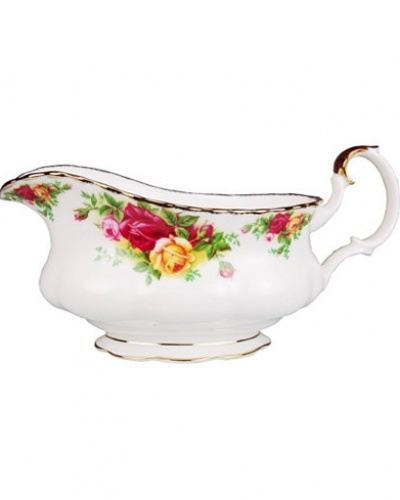 The tea table should be covered with white lace table cloth to pop up your English Rose or Vintage Tea Set! 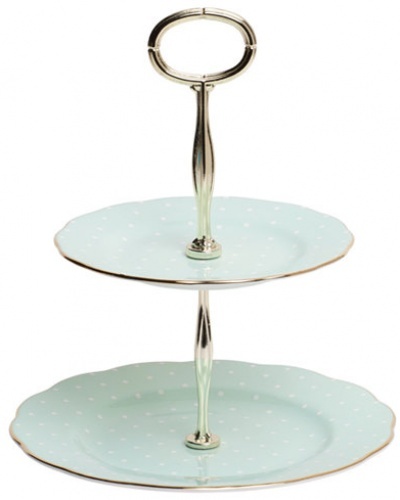 Choosing your basic kit: A three-tiered cake stand is essential for a classic afternoon tea party; however you can go all out with any of your exotic tea sets that you might accumulate when traveling. 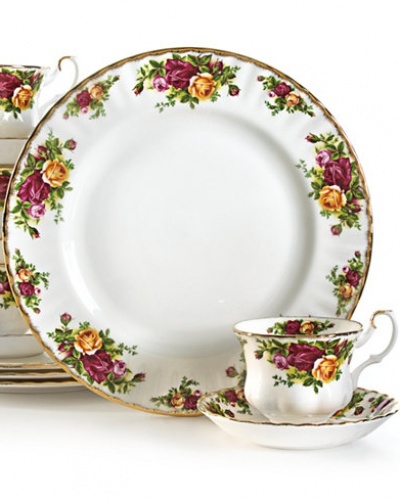 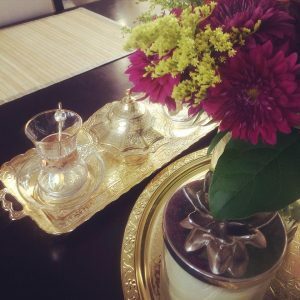 For me, I have two favorite tea sets that fits for any occasion: English Rose for the vintage look and Turkish Tea Set for Bohemian look!!! 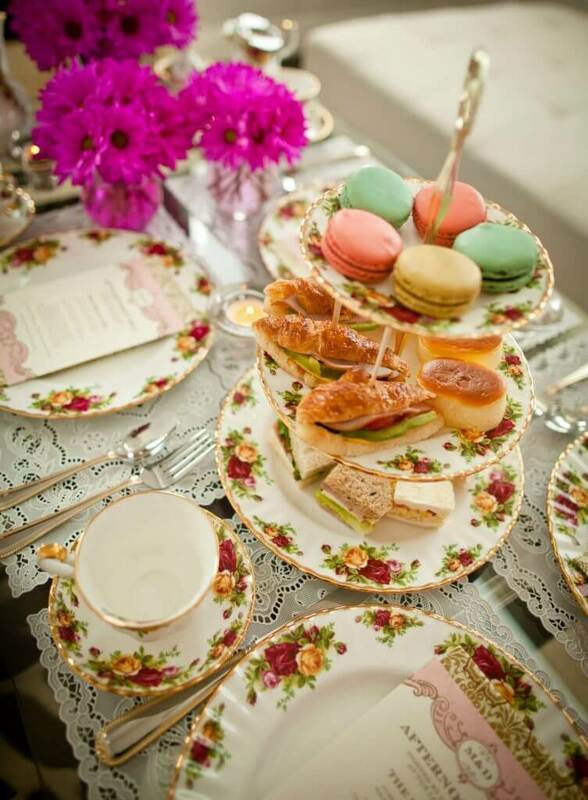 Food: There aren’t any rules when it comes to the food, but a standard afternoon tea comprises a layer of sandwiches, a layer of cakes and a layer of scones. 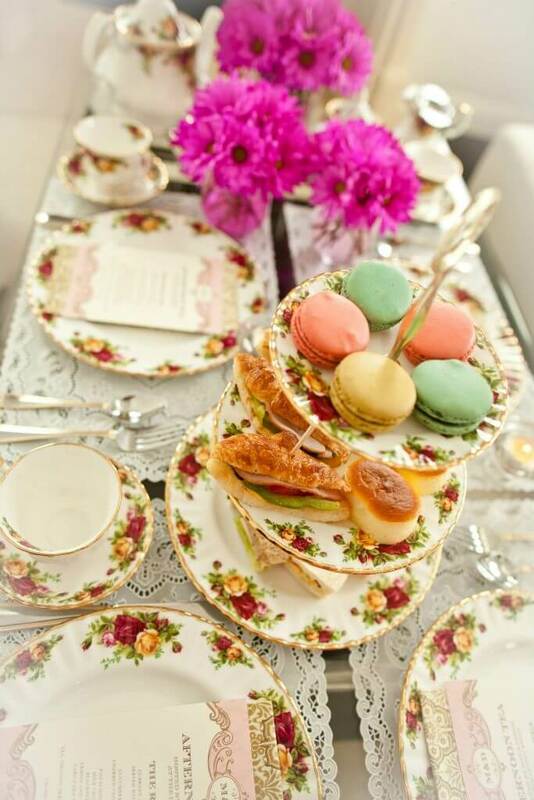 However, you could also throw in pastries, petits fours or biscuits. 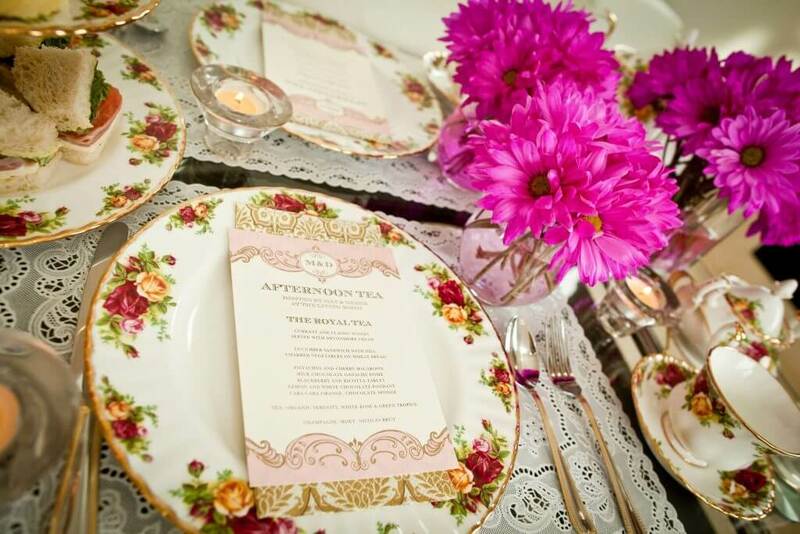 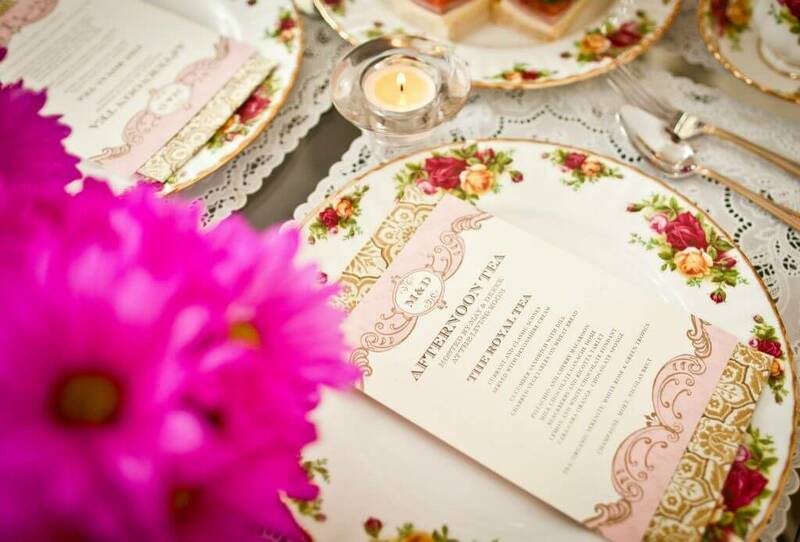 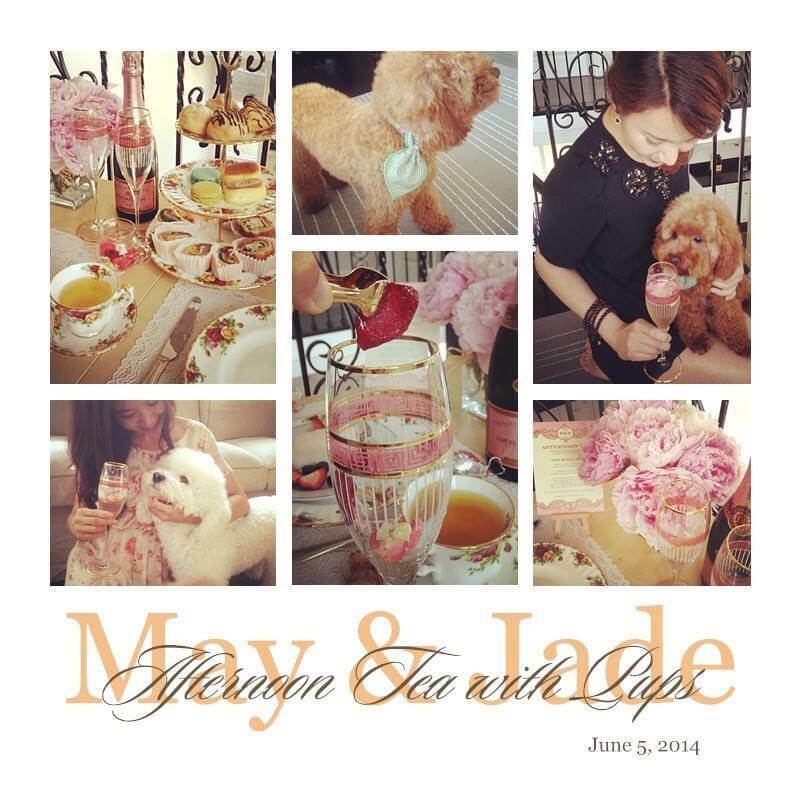 Designing a personalized menu for your “tea salon” is unique and fun! 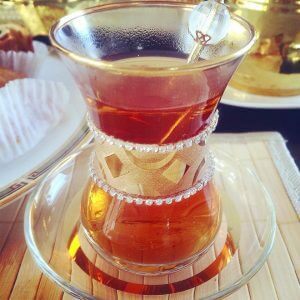 Drinks: Try to provide a variety of tea – Earl Grey, peppermint, camomile, fruit, herbal and, of course, English Breakfast for your guests to choose from! 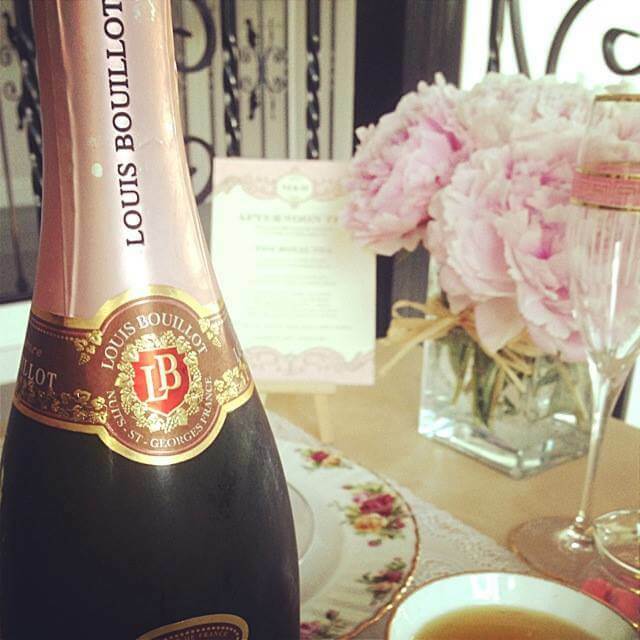 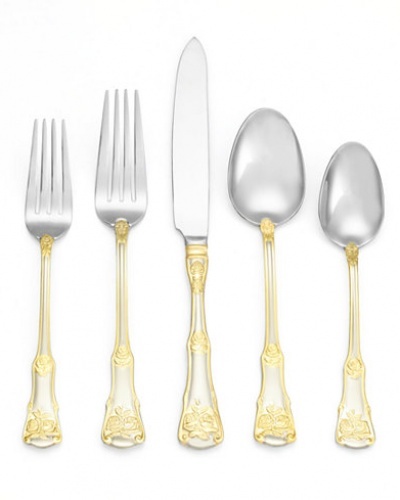 Champagne: Tea time is usually accompanied with champagnes. 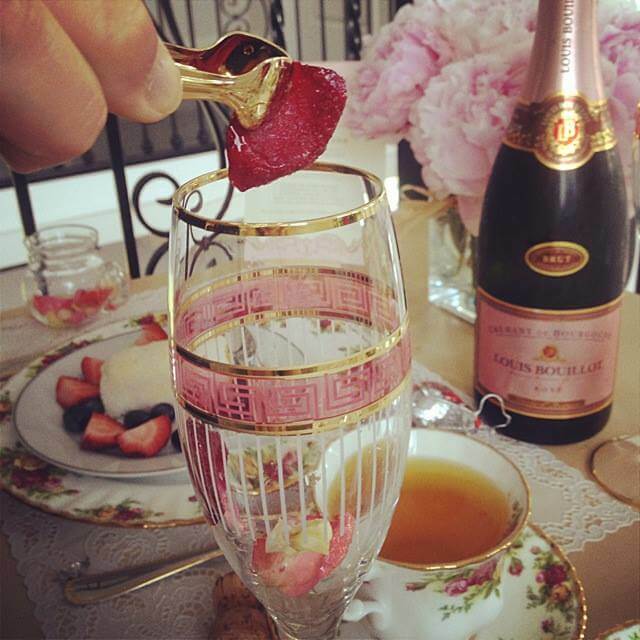 My girlfriend, Jade, has a very unique and elegant way to prepare for our afternoon tea’s champagne. 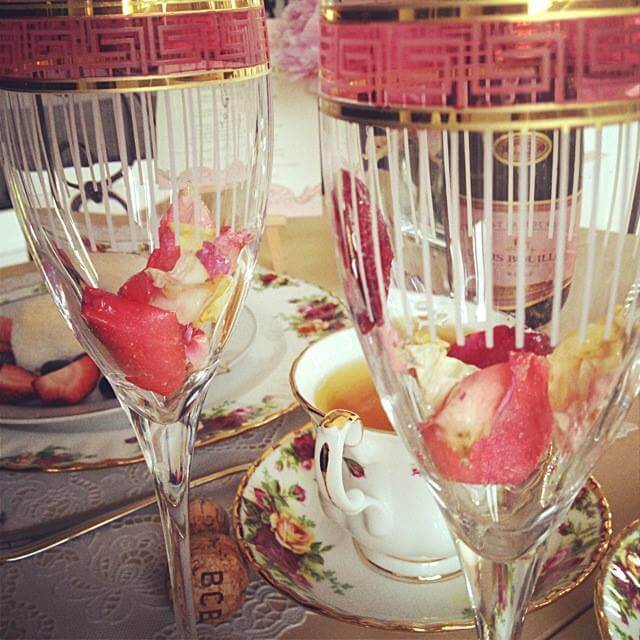 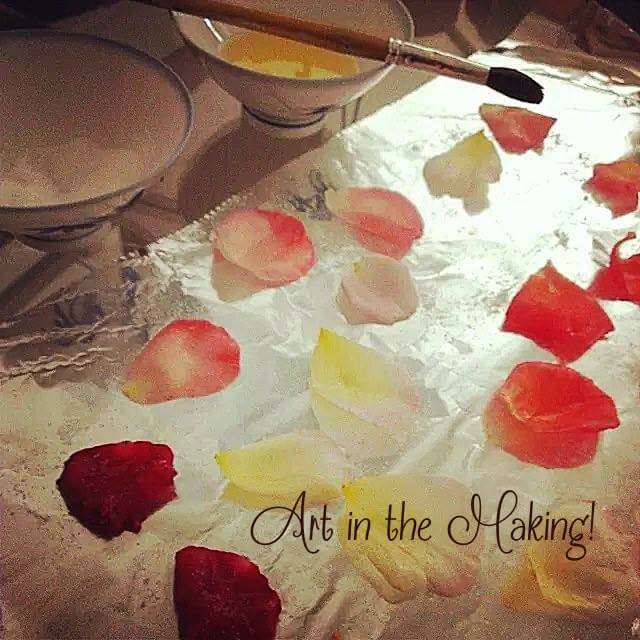 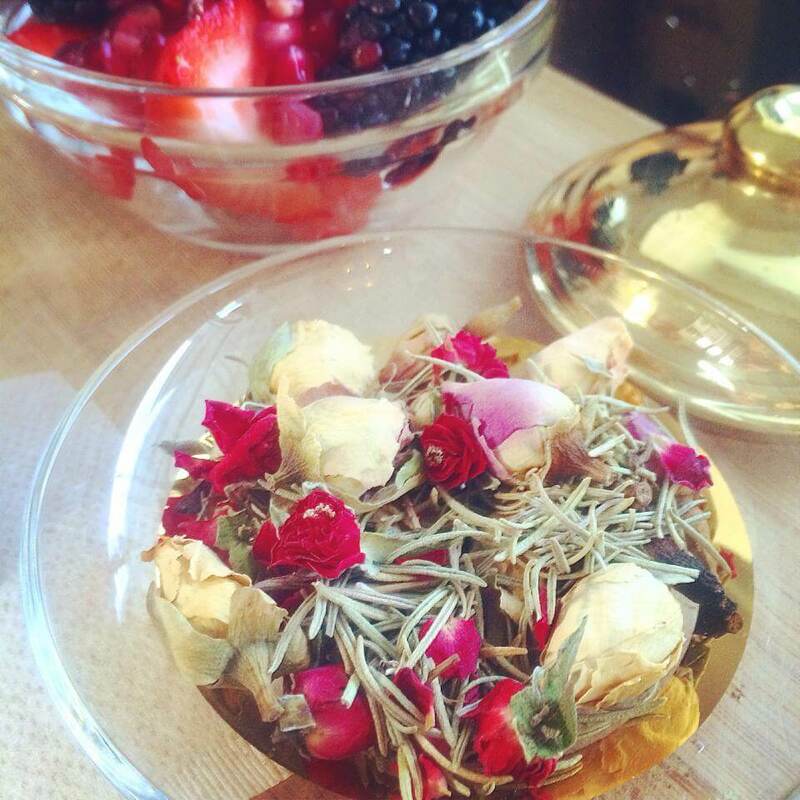 Jade prepared sugar rose petals which then were put into our flutes and poured over with brut rose. 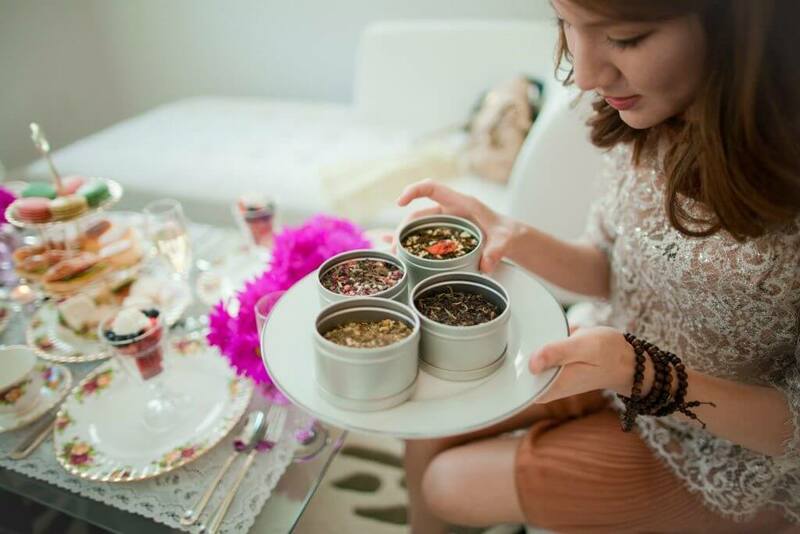 Happy Planning Your Afternoon Tea at Home!!!! 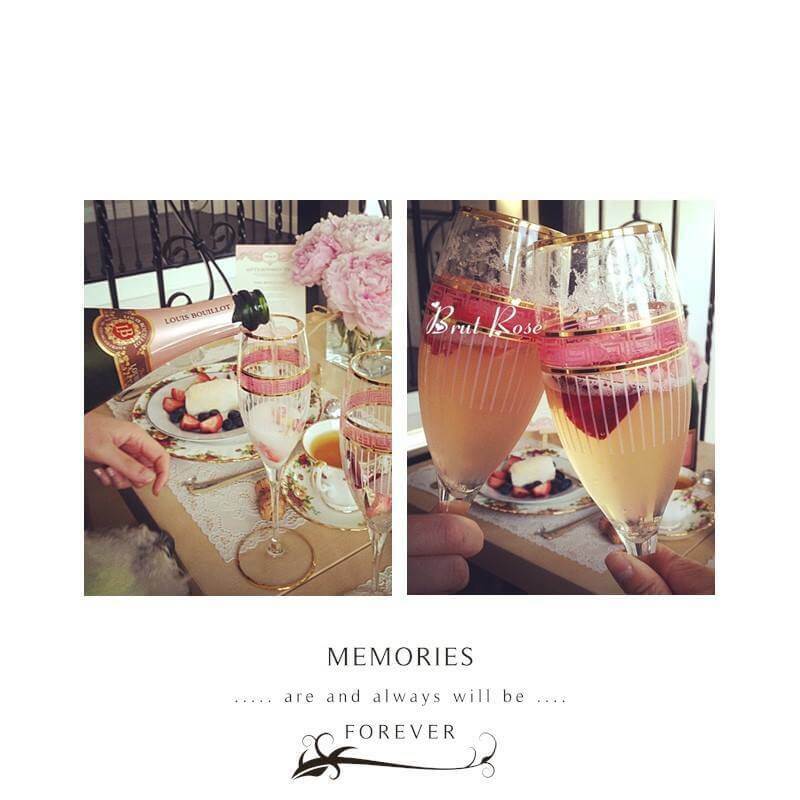 Thanks everyone for reading!